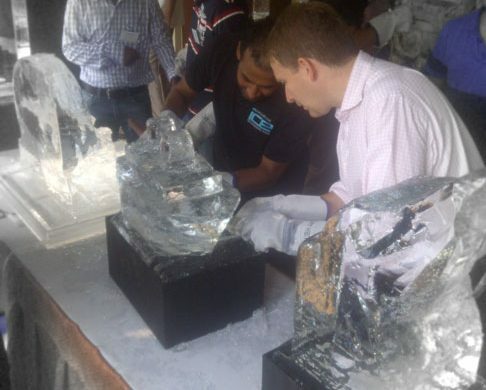 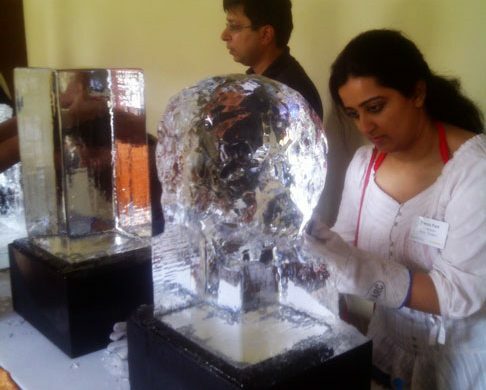 Imagine Ice completed yet another Corporate Ice Sculpting WorkShop successfully on 13-Sep-2013. 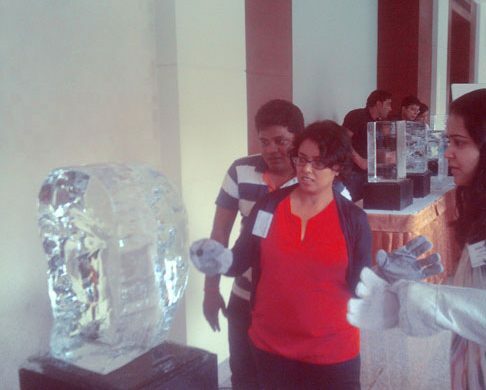 It was a huge success, kept the participants engaged and was talk of the day at the evening party where all participants of the Ice Workshop displayed their respective Ice Sculptures. 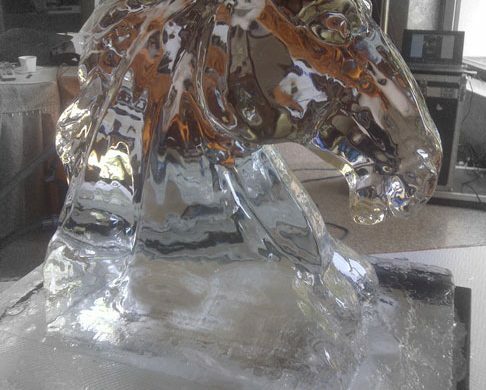 Our 24 participants managed an ice car, an ice ship, an ice heart, ice dolphin, ice skull, ice statues and about 8 other live carving masterpieces. 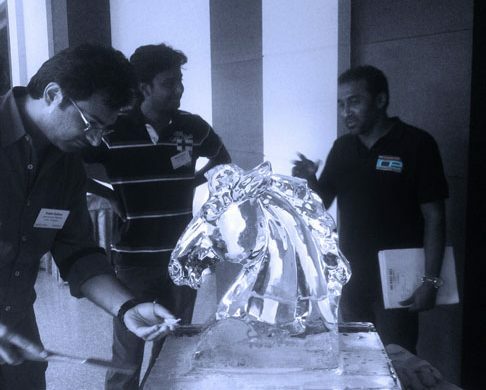 After a brief intro by our Chief Communications Officer – Ashutosh Sharma and a half an hour training session with by our Creative Director – Wenistus Asanga Amerasinghe, all participants were given a smaller individual block & a master block for every team (group of 6). 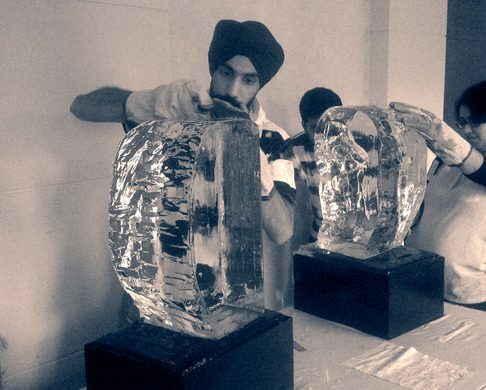 With help of two different sets of chisels they carved their thoughts in Ice. 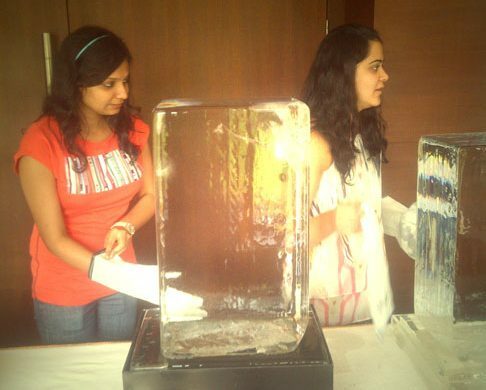 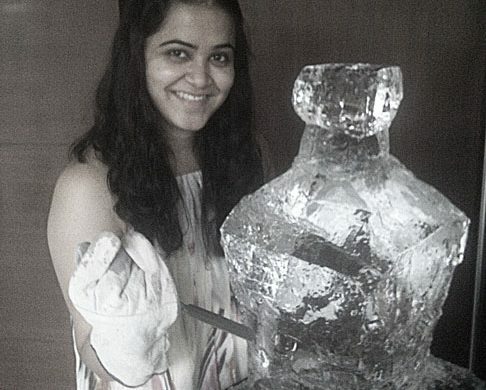 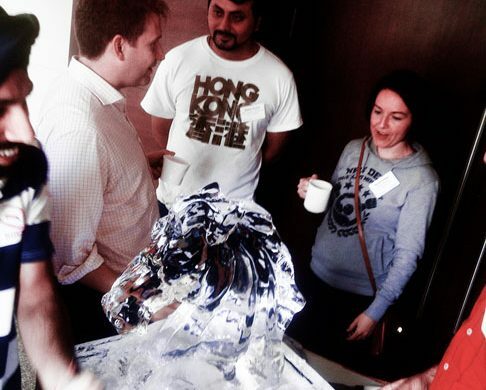 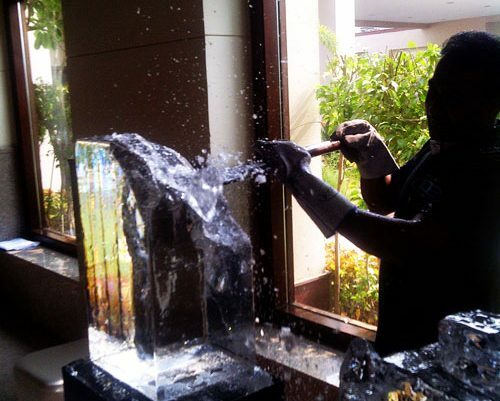 The results were quite awesome….They not only created stunning ice sculptures, but also felt the spirit of team work. 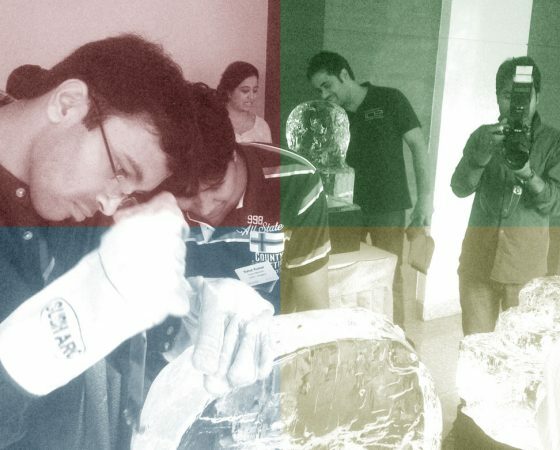 Since the team results were better than working as individuals as every individual was contributing towards a common goal. Reach out to us at info@imagineice.com and one of us will work with you to bring the euphoria of unique Team Building tool called “ICE” alive at your corporate event. 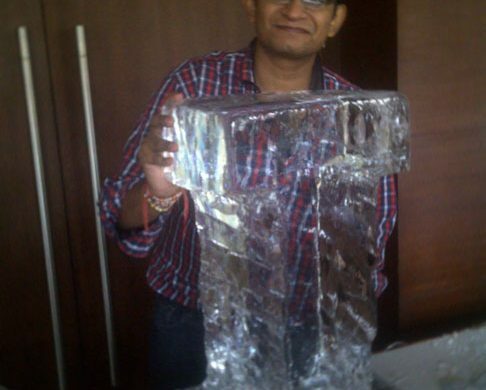 This Can be done indoors or Outdoors – pretty much year round, if indoors, the melting ice chips should be taken into account when selecting a room.